Today, it seems, more and more people are”not really doing dairy anymore.” Perhaps for good reason, as many people really are sensitive to the effects of dairy without even knowing it (I know I’m not the only one who gets cheese hangovers). Or maybe you prefer nut milk just because it tastes yummier. Whatever the reason, the good news is that these dairy alternatives can be found in almost any supermarket these days. And for the busy people of New York City there is a now a service that will deliver scrumptious nut milks right to your door. 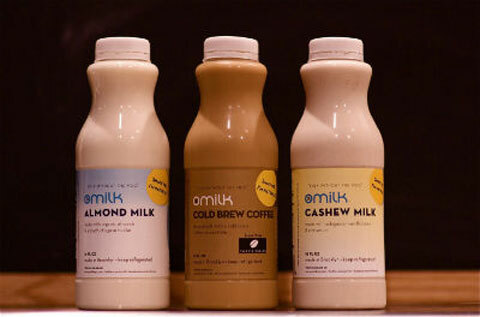 OMilk is a small business based in Brooklyn, NY that makes local, all-natural, artisanal nut milks that can be used in anything from your morning coffee and cereal to delicious smoothies. It’s also delicious enough that you can enjoy it just as it is, as a protein-packed snack or post-workout recovery beverage. For a flat $5 fee, the company delivers to any address in New York City, on Monday, Wednesday and Friday evenings between 7 – 10 pm. The milks are made to order and last 8-10 days if properly refrigerated. I tried the service a few weeks ago and my order came delivered, on time, in a little white bag. In it was three different kinds of milks: the cashew classic, unfiltered and made with Madagascar vanilla bean, the organic almond, a classic almond milk, and a seasonal flavor: cold-brew coffee almond milk, which was insanely delicious. If you crave that iced latte in the afternoon, this is a great alternative that is much better for you since it’s dairy free and cold-brew coffee is far less acidic than regular brew. For fall, you can also try the Pumpkin Pie-Spied Cashew Milk, which sounds like it will be a delicious treat for cold nights by the fire. 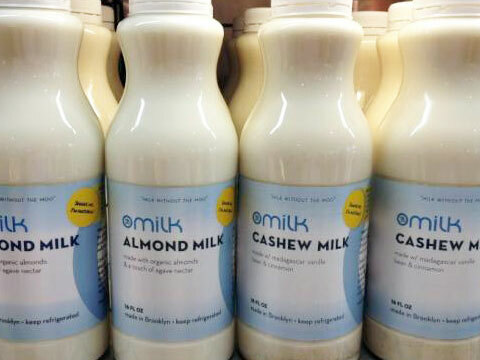 OMilk was started by husband-and-wife team Julie and Greg Van Ullen after she started noticing co-workers taking an interest in the homemade nut milks she was bringing to work after swearing off dairy. The pair began selling them and, after their honeymoon, decided to try selling their milks at a market for a while to see what happened. People loved it and the pair constantly sold out of their wares at the Brooklyn Flea, despite the price tag being decidedly steeper than that of regular milk. 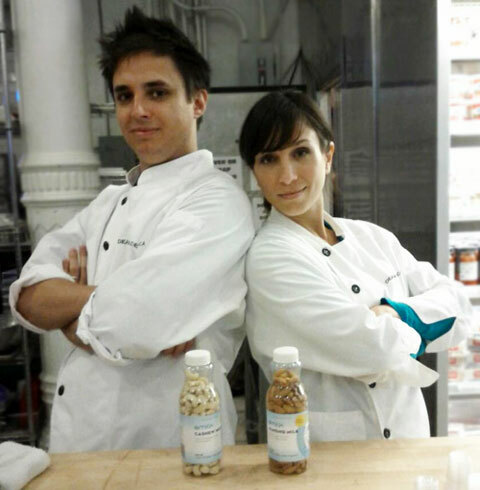 OMilk founders Greg and Julie Van Ullen. Photo via Brooklyn Makers. The nut milks have just the right texture—not too smooth but not grainy either. It’s a world away from the ones you can buy in tetra paks at most supermarkets these days. 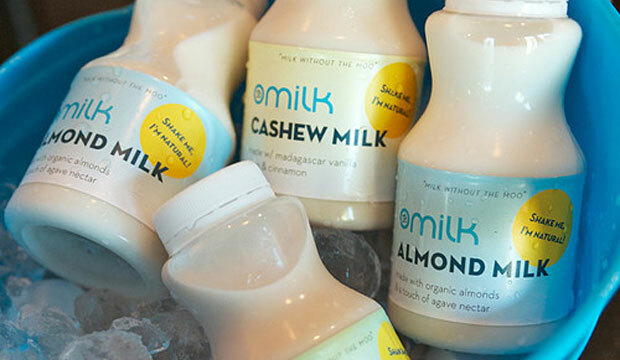 If home delivery is not for you, then you can fink OMilk products at at Dean & Deluca stores and Whole Foods Tribeca in Manhattan, and all Union Market stores in Brooklyn.